All companies have at least one Vendor . Most companies have incomplete Vendor files. Do you suffer from this ailment? SBA * Consulting has been in and out of over fifty businesses since its inception. Moreover, without fail, every business at calendar year-end has had to do the Vendor 1099 shuffle. What is the Vendor 1099 shuffle? That is the overwhelming, time-consuming, deadline-looming, aggravating, blood pressure-raising period from sometime in December to January when you realize you aren’t going to be able to produce your IRS form 1099. This phenomena is not unique to small businesses. I’ve found it in mid-cap and large-cap firms as well. It is a function of spending too little time on the minutiae and never finding the time to return and address the issues. Think about it? How difficult is it to add an address to a vendor file? 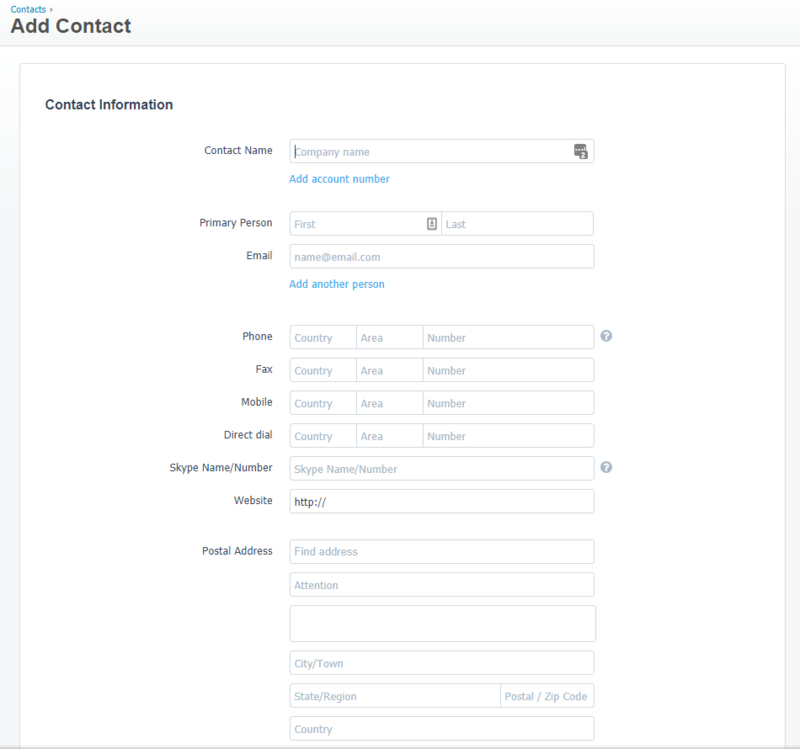 This is a view of Xero‘s Contact (they use the same information for Vendor and Customers) database maintenance screen. While other accounting software publishers may have a different aesthetic, they all ask the same basic questions. Some ask more questions related to industry or sector, but the core of a vendor’s data is the same. The only commonality in all the clients we’ve worked with is that the Company (here called Contact Name) has been entered. We always find a very large percentage of phone numbers, email address and even postal addresses missing from the Vendor file. The other major error on this part of the Vendor file are data entry errors. Spending a few extra seconds to enter the data correctly can literally save hours on the back-end. Some of the accounting systems we’ve worked with don’t provide you with default G/L account codes. This means, you have to enter the G/L account for telephone for each bill. 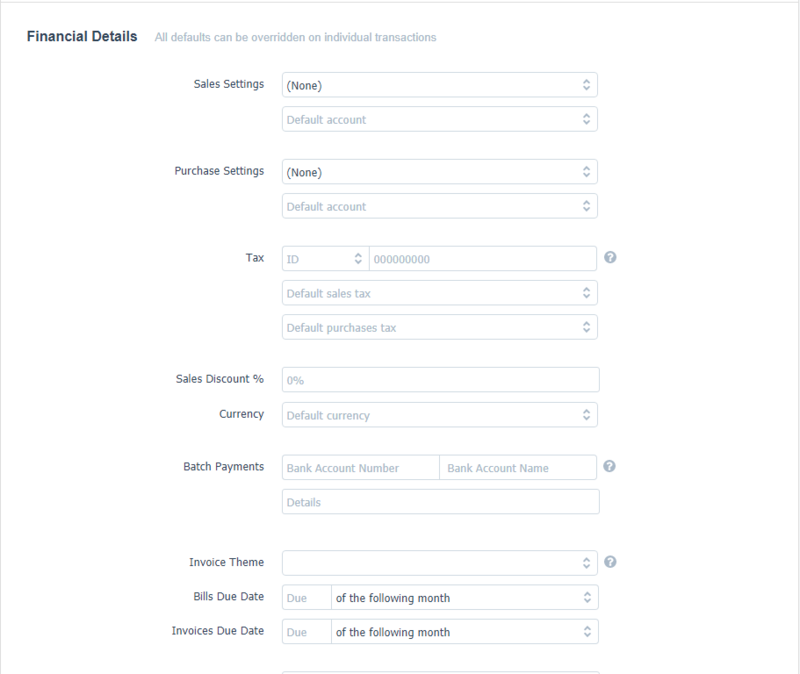 Xero, like others, let’s you set the default, which automatically populates the G/L field. While you can always change the G/L account, odds are you won’t. It just saves time and errors. The next set of fields are crucial! There are two areas of a Vendor file that are direct causes of the 1099 Shuffle. Lack of an physical address and the lack of a TAX ID (Federal Tax Number, called a FIN, a TIN, or sometimes a EIN and many times the same number). You are required on 1099 forms to provide a TIN, failure causes a penalty (as does a TIN that doesn’t match the Company Name). While in the example I’ve used here (Xero) doesn’t suffer from the following issue, some accounting systems do. Some systems ask you to select which type of 1099 (there are several options) the Vendor should get. Not a bad question to ask. However the downside of not answering could cause a larger issue: Besides requiring manually having to go back and re-answer the question, programatically reworking transactions. As an example, on Microsoft Dynamics – Navision. If you don’t set up the 1099 type before you enter any transactions, then all the future transactions are flagged as 1099. Simply put, if I add you as my only Vendor and forget to flag you as a 1099. Pay you hundreds of checks during the calendar year. Then run the 1099 generation program, no 1099 would be produced. Alas you now have to scramble to fix the data. That will require your dealer to assist, at a cost no less. Spend the time when creating a Vendor. Enter all the necessary data you will need to both produce a PO and/or Check. Research any compliance type reporting (1099) requirements. In addition, research how those reports are generated before you enter transactions against the Vendor. Forethought will mitigate any issues when you need to run the report.